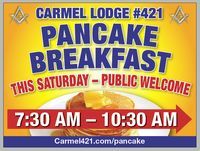 Every 2nd Saturday of the month Carmel Masonic Lodge #421 hosts a pancake breakfast as a way to connect with our community! 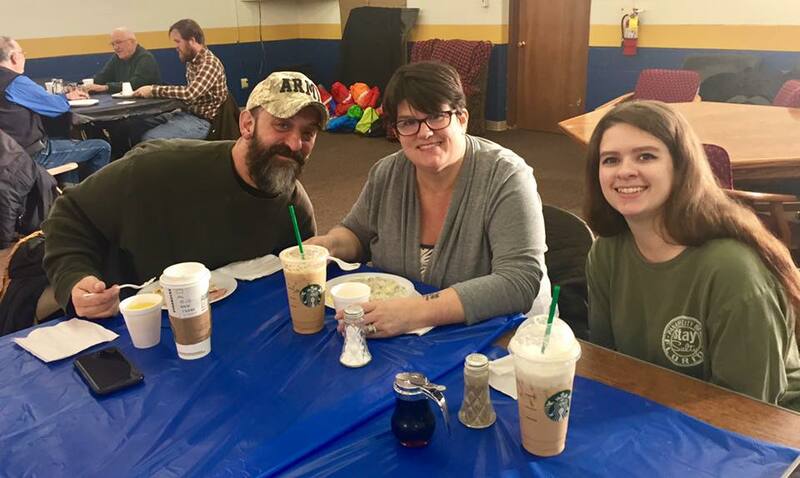 It was wonderful to see brothers, they’re families, and members of our Carmel community come out to the lodge for a delicious family style meal. The breakfast is also an excellent way to come see our lodge, meet the brothers, ask questions, and enjoy the company of good people in a warm and welcoming environment. We hope to see you next month! To view more pictures of the event see the post on our lodge’s Facebook page! 2ND Saturday (7:30AM-10:30AM) of Every Month "All You Can Eat"